Princess Family Club at Grand Riviera Princess, an all-inclusive resort in Playa del Carmen, is situated on one of the most beautiful stretches of white-sand beach in Riviera Maya. This active, family-friendly resort boasts a list of amenities sure to satisfy even the most selective consumer. 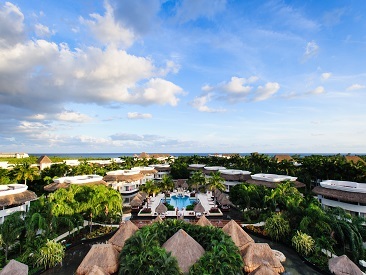 Twelve swimming pools, integrated Jacuzzis, swim-up bars, nightly entertainment and delicious cuisine meet every guest with an array of choices and set the tone for a fantastic escape to paradise. Discover a unique way to enjoy the Riviera Maya with your kids and the whole family! Come experience this all-inclusive, oceanfront resort located on one of the most beautiful stretches of white-sand beach in the Riviera Maya. 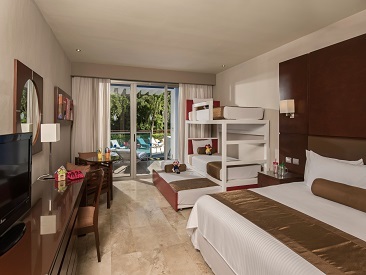 Just minutes from Playa del Carmen, the Princess Family Club at Grand Riviera Princess is an active, family-friendly resort with enough options to keep everyone happy. Enjoy twelve swimming pools, three with integrated Jacuzzis and swim-up bars, eight for adults and four for children, plus nightly shows and entertainment in the Princess Theater, all suite accommodations and enough dining variety to satisfy even the most discriminating palates. 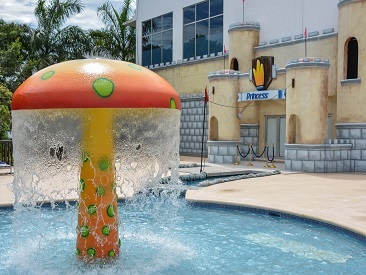 The Princess Family Club has been added to the facilities of the Grand Riviera Princess--an area where everything is designed for you and your children to enjoy the most memorable of family vacations. In this new space, there are 144 rooms (40 rooms with direct pool access) fully prepared and designed for you, featuring two double beds or one king size bed and bunk beds. All you have to worry about is enjoying the Caribbean with your kids! Enjoy incredible evenings savoring the extensive choice of dining options with a great choice of buffets and 7 themed restaurants, ranging from the famous Mexican "Haciendas", passing through emblematic Switzerland to glittering Italy. Plus, as part of the Princess Family Club, you'll have exclusive access to the Buffet Restaurant Family Club, a decorated theme restaurant especially for families, and an exclusive ice cream parlor. If you were looking for kid-friendly hotels in Riviera Maya with all inclusive, no doubt you've found the best option for these family holidays. Please Note: The Princess Family Club at Grand Riviera Princess does not accept spring break groups.